In today’s modern world, companies of all sizes find they must manage massive amounts of computer resources and information. The sheer volume of data coming into companies continues to rise at an exponential rate. Even more concerning is the fact that the variety and volume of data will continue to increase in years to come. Developing an effective enterprise data management strategy is critical. Data management strategies typically include security features in order to protect the firm’s data assets. Making the matter of protecting and managing data even more complex is the fact that companies must manage multiple types of data, including data from customers, products, partners, contracts, documents, requests, and more. The vast variety of data types can make developing a data management strategy even more complex. In developing an appropriate enterprise data management strategy, it is critical also to consider cross-departmental relations and the best way that all departments can work together to protect a company’s relevant data properly. Other important factors to consider include the necessary storage capacity. Additionally, an enterprise data management strategy should consider which tools companies use for proper and effective data management. As vital as data management is to companies of any size, developing an effective management system is not always easy. In fact, many companies find it to be quite challenging to develop such a strategy. Doing so can be a strain on time and resources. Furthermore, unless the company specializes in information technology, it can be quite difficult to stay on top of the latest industry updates. Even attempting to do so can often prove to be too much of a strain for many companies, taking valuable resources away from their core business competencies. Why Choose an Enterprise Data Management Solution? Incorporating an enterprise data management solution can often prove to be the ideal option for companies concerned about data management. By employing such a solution, companies can ensure their data are being managed in a professional and secure manner without worrying about expending unnecessary resources. When choosing a data management solution, it’s important to verify the reputation of the firm as well as the breadth of services provided. 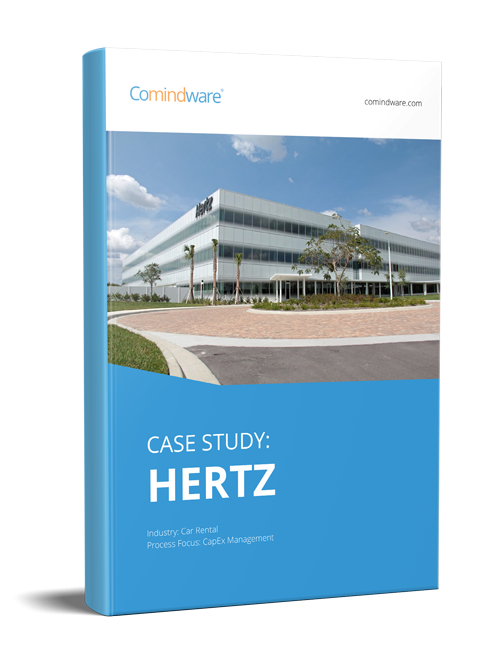 The Comindware solution for enterprise data management offers a range of capabilities, including visual forms that make it possible to define required data structures. This solution also allows data import directly from Excel. To help save time, search and reporting are also available. For instance, it’s possible to create configurable reports in order to quickly provide insights into stored data. The intuitive interface makes this solution incredibly easy to learn with a low learning curve, ensuring that staff members do not need to spend a lot of time learning to use the solution. Since this enterprise data management solution is also available in Cloud, it’s easy to access stored data from any location. While the volume of data flooding companies is not likely to decrease, employing an effective data management solution can help businesses effectively handle data of all types.